BACOLOD City Councilor Em Ang, chairperson of the City Council committee on tourism, said on Monday, February 4, the staging of the 14th BacoLaodiat Festival was successful. “We had a big crowd in the festival site at the Bacolod Government Center (BGC) as well as in the two big malls in the city,” Ang said. The five-day event was participated by Filipino-Chinese community and Chinese schools in Bacolod. Ang said the BacoLaodiat Committee Board transferred the Imperial Village from the Lacson Street to BGC and it was very nice because all the events were held there. “Transferring the Imperial Village at the back of the BGC was a very good idea. 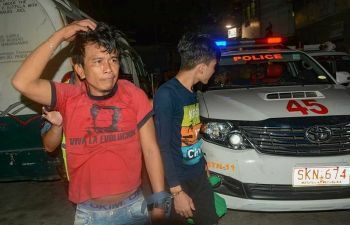 It did not cause any traffic at all because traditionally, the activity was held at Lacson Tourism Strip,” she added. In the previous years, the opening rites of BacoLaodiat Festival was held on Lacson Street, which led to the closure of some streets in the area. “We were able to achieve our goal this year, but BacoLaodiat always suffers on the comparisons in MassKara Festival. We should not compare it because MassKara Festival is established and it’s already going to be 40 this year while BacoLaodiat is only 14 this year,” Ang said. She said that MassKara Festival is already known all over the world so there’s simply no comparison between the two festivals. Ang also admitted that there’s lack of information dissemination that the BacoLaodiat Festival site was transferred to BGC. Ang said the BacoLaodiat Festival also creates economic activity in Bacolod as it provides livelihood for it is good for the economy. 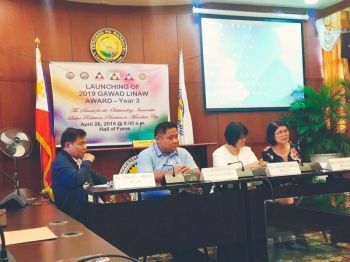 “Mayor Evelio Leonardia always emphasizes to make BacoLaodiat Festival a major tourist attraction, another event in Bacolod that can attract visitors not only from the Philippines but even from abroad,” she said. Leonardia earlier said that BacoLaodiat Festival is a morale booster. “It enhances our morale. It is a morale booster for all of us and it makes us prouder of our city and makes us involved,” the mayor said during the opening rites of the festival at the BGC grounds on Friday, February 1.